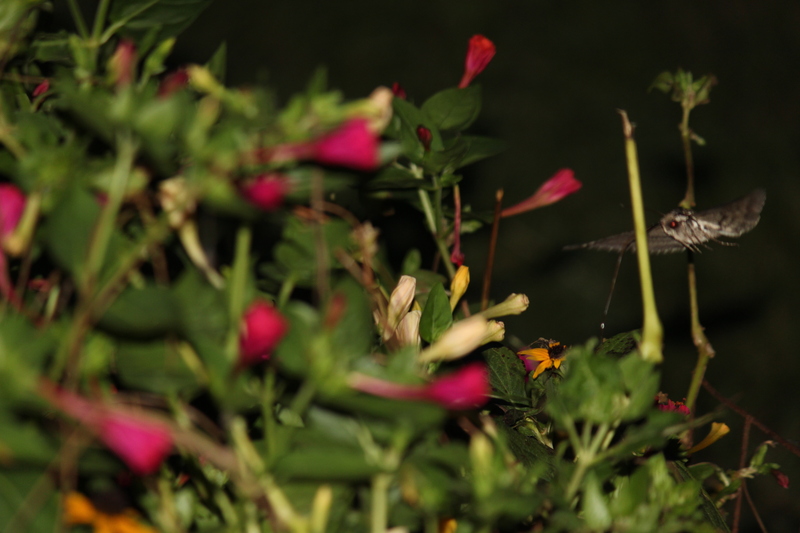 I sit quietly as darkness falls, waiting near the Four O’clocks. 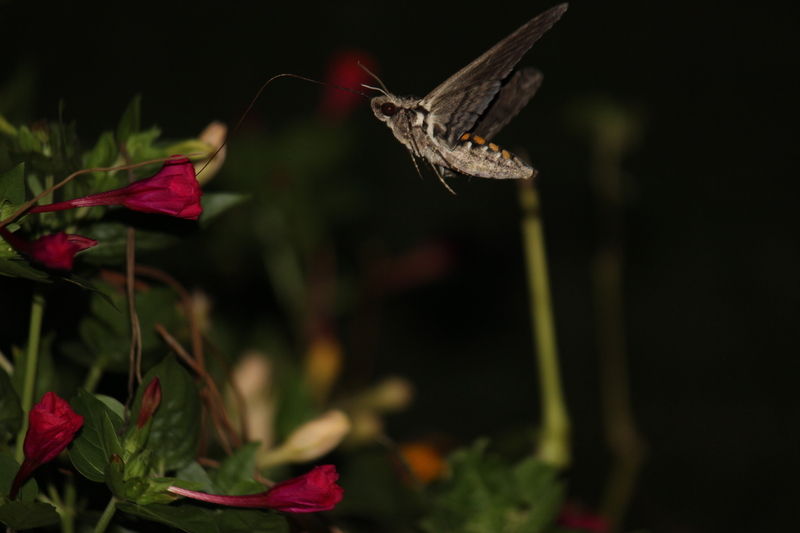 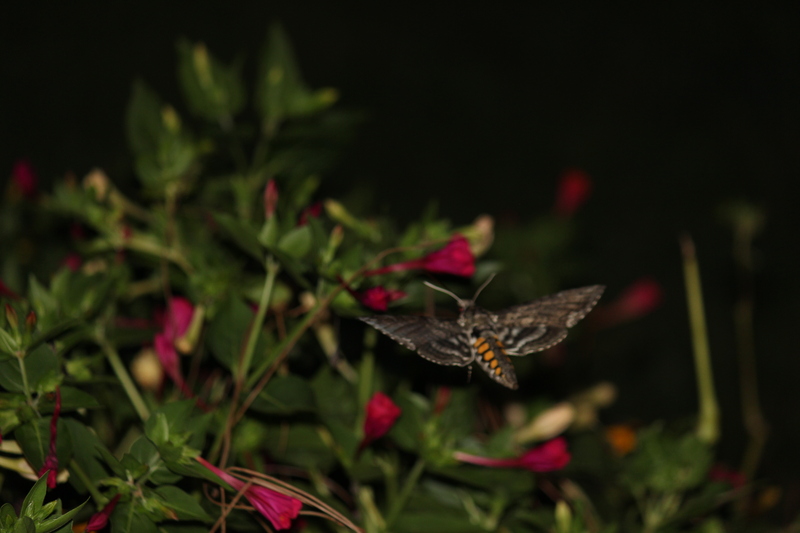 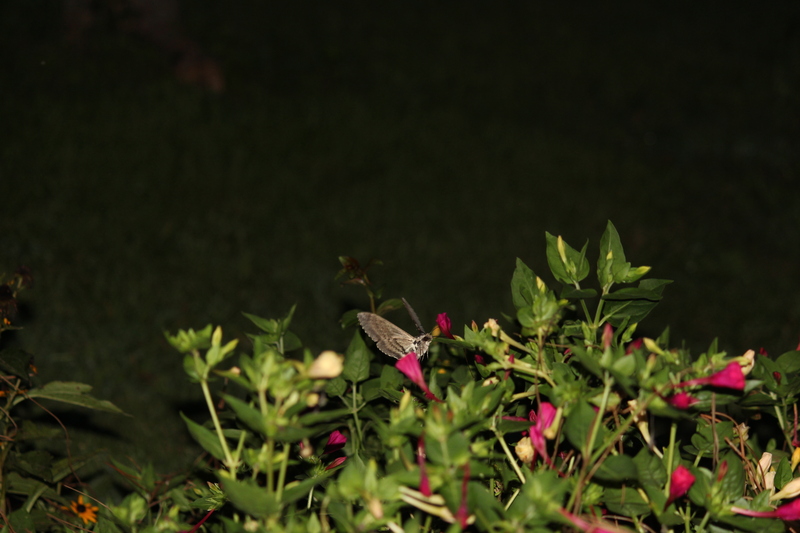 It circles above, then swoops down to feed on the flowers. 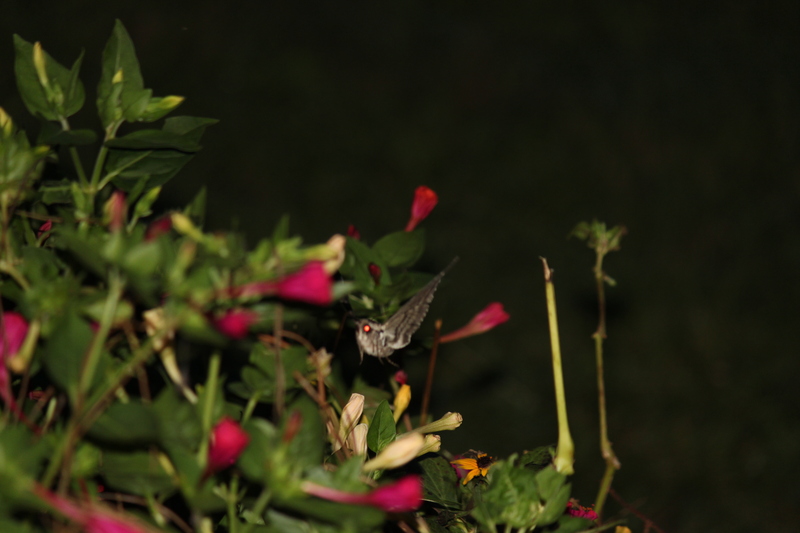 Its flight is similar to a hummingbird’s, but silent.